YouTube Creators Hub | Listen Free on Castbox. In this week’s episode, I chat with Derral Eves about his journey on YouTube, and the path he took to find so much success on the platform. About Derral: Derral Eves is the CEO of Creatus and founder of VidSummit. As a highly respected video marketing strategist, Derral has been on YouTube since 2005. He has helped over 21 channels go from zero to over a million subscribers each, generating over 38 billion video views and counting. Connect With Derral Here: Website Twitter YouTube Channel Don’t forget that if you pledge with $45 or more over on our Patreon campaign, I will take a look at your channel each month and give you some tips and ideas on how you can improve! Support the show on Patreon here for day-to-day interaction with myself and the community on discord. Subscribe to my new Podcast “The Entrepreneurs Minute” here! Links Discussed In This Episode Canon 70D – A Fantastic Camera at a great price. TubeBuddy – A tool that makes your YouTube Life EASIER and Helps grow your channel. AudioHero – A Fantastic source for copyright free music to use with your content. The Netflix of AUDIO. Use our Code CREATOR at checkout for a special promotional price. Screenflow — A fantastic Screen Recording software for Mac to create beautiful screencast videos. Adobe Audition — Audio editing software. AudioBlocks – A Fantastic Resource for royalty free music. Support The YouTube Creators Hub Podcast Here: If this podcast is bringing you value SUPPORT THE SHOW AT THE FOLLOWING LOCATIONS: TubeBuddy – A tool that makes your YouTube Life EASIER and Helps grow your channel. Patreon – Get Your Channel Featured On The Show AND Acess to an exclusive YouTube Creators Facebook Group AudioHero – A Fantastic source for copyright free music to use with your content. The Netflix of AUDIO. Use our Code CREATOR at checkout for a special promotional price. Bluehost – If you need a website use this link to get a free Domain Name and a great deal on hosting. In this week’s episode, I chat with Josh Zimmerman about creator burnout and getting yourself right. About Josh: Josh Zimmerman has worked with TV networks, production companies, digital multinational corporations, YouTube influencers, and traditional entertainment celebrities for fourteen years. His wide range of experience in traditional and digital entertainment ranges from production to rights and clearances to creator management. He founded JZ Management in June 2016, and now, in 2018, Josh launched Creator Coach™. Creator Coach™ is dedicated to helping support creators who are experiencing burnout. In addition to the excitement of seeing one’s creative work shared, being a creator can be an uncertain, complex, and overwhelming. It is enormously challenging when done without support. Creator Coach Don’t forget that if you pledge with $25 or more over on our Patreon campaign, I will take a look at your channel each month and give you some tips and ideas on how you can improve! Support the show on Patreon here for day-to-day interaction with myself and the community on discord. Subscribe to my new Podcast “The Entrepreneurs Minute” here! Links Discussed In This Episode Canon 70D – A Fantastic Camera at a great price. TubeBuddy – A tool that makes your YouTube Life EASIER and Helps grow your channel. AudioHero – A Fantastic source for copyright free music to use with your content. The Netflix of AUDIO. Use our Code CREATOR at checkout for a special promotional price. Screenflow — A fantastic Screen Recording software for Mac to create beautiful screencast videos. Adobe Audition — Audio editing software. AudioBlocks – A Fantastic Resource for royalty free music. Support The YouTube Creators Hub Podcast Here: If this podcast is bringing you value SUPPORT THE SHOW AT THE FOLLOWING LOCATIONS: TubeBuddy – A tool that makes your YouTube Life EASIER and Helps grow your channel. Patreon – Get Your Channel Featured On The Show AND Acess to an exclusive YouTube Creators Facebook Group AudioHero – A Fantastic source for copyright free music to use with your content. The Netflix of AUDIO. Use our Code CREATOR at checkout for a special promotional price. Bluehost – If you need a website use this link to get a free Domain Name and a great deal on hosting. If You Just Create Great Content, Growth Will Happen With Nate Dodson From Tutvid In this week’s episode, I chat Nate Dodson from the Tutvid YouTube channel. We talk about his long journey on YouTube, what it means to succeed on the platform and so much more. About Nate: I’m Nathaniel Dodson and I started tutvid.com back in September of 2006, but really started pushing the business hard in late 2015. I am a young graphic and logo designer and commercial portrait photographer. I first started dabbling with Photoshop at the age of 12 back in the year 2000 and have been in love ever since. Connect With Nate Here YouTube Channel Instagram Don’t forget that if you pledge with $25 or more over on our Patreon campaign, I will take a look at your channel each month and give you some tips and ideas on how you can improve! Support the show on Patreon here for day-to-day interaction with myself and the community on discord. Subscribe to my new Podcast “The Entrepreneurs Minute” here! Links Discussed In This Episode Canon 70D – A Fantastic Camera at a great price. TubeBuddy – A tool that makes your YouTube Life EASIER and Helps grow your channel. AudioHero – A Fantastic source for copyright free music to use with your content. The Netflix of AUDIO. Use our Code CREATOR at checkout for a special promotional price. Screenflow — A fantastic Screen Recording software for Mac to create beautiful screencast videos. Adobe Audition — Audio editing software. AudioBlocks – A Fantastic Resource for royalty free music. Support The YouTube Creators Hub Podcast Here: If this podcast is bringing you value SUPPORT THE SHOW AT THE FOLLOWING LOCATIONS: TubeBuddy – A tool that makes your YouTube Life EASIER and Helps grow your channel. Patreon – Get Your Channel Featured On The Show AND Acess to an exclusive YouTube Creators Facebook Group AudioHero – A Fantastic source for copyright free music to use with your content. The Netflix of AUDIO. Use our Code CREATOR at checkout for a special promotional price. Bluehost – If you need a website use this link to get a free Domain Name and a great deal on hosting. 161: I Answer Your YouTube Questions and Calls In this week’s episode, I answer your email and call in questions regarding YouTube and everything in between! Support the show on Patreon here for day-to-day interaction with myself and the community on discord. Don’t forget that if you pledge with $25 or more over on our Patreon campaign, I will take a look at your channel each month and give you some tips and ideas on how you can improve! Subscribe to my new Podcast “The Entrepreneurs Minute” here! Links Discussed In This Episode Canon 70D – A Fantastic Camera at a great price. TubeBuddy – A tool that makes your YouTube Life EASIER and Helps grow your channel. AudioHero – A Fantastic source for copyright free music to use with your content. The Netflix of AUDIO. Use our Code CREATOR at checkout for a special promotional price. Screenflow — A fantastic Screen Recording software for Mac to create beautiful screencast videos. Adobe Audition — Audio editing software. AudioBlocks – A Fantastic Resource for royalty free music. Support The YouTube Creators Hub Podcast Here: If this podcast is bringing you value SUPPORT THE SHOW AT THE FOLLOWING LOCATIONS: TubeBuddy – A tool that makes your YouTube Life EASIER and Helps grow your channel. Patreon – Get Your Channel Featured On The Show AND Acess to an exclusive YouTube Creators Facebook Group AudioHero – A Fantastic source for copyright free music to use with your content. The Netflix of AUDIO. Use our Code CREATOR at checkout for a special promotional price. Bluehost – If you need a website use this link to get a free Domain Name and a great deal on hosting. What Does Article 13 Mean For Creators And The Future In this week’s episode, I talk about Article 13 and what it means for creators. All articles and links referred to in this episode: https://www.theverge.com/2018/9/13/17854158/eu-copyright-directive-article-13-11-internet-censorship-google https://www.wired.co.uk/article/what-is-article-13-article-11-european-directive-on-copyright-explained-meme-ban SaveYourInternet Support the show on Patreon here for day-to-day interaction with myself and the community on discord. Don’t forget that if you pledge with $25 or more over on our Patreon campaign, I will take a look at your channel each month and give you some tips and ideas on how you can improve! Subscribe to my new Podcast “The Entrepreneurs Minute” here! Links Discussed In This Episode Canon 70D – A Fantastic Camera at a great price. TubeBuddy – A tool that makes your YouTube Life EASIER and Helps grow your channel. AudioHero – A Fantastic source for copyright free music to use with your content. The Netflix of AUDIO. Use our Code CREATOR at checkout for a special promotional price. Screenflow — A fantastic Screen Recording software for Mac to create beautiful screencast videos. Adobe Audition — Audio editing software. AudioBlocks – A Fantastic Resource for royalty free music. Support The YouTube Creators Hub Podcast Here: If this podcast is bringing you value SUPPORT THE SHOW AT THE FOLLOWING LOCATIONS: TubeBuddy – A tool that makes your YouTube Life EASIER and Helps grow your channel. Patreon – Get Your Channel Featured On The Show AND Acess to an exclusive YouTube Creators Facebook Group AudioHero – A Fantastic source for copyright free music to use with your content. The Netflix of AUDIO. Use our Code CREATOR at checkout for a special promotional price. Bluehost – If you need a website use this link to get a free Domain Name and a great deal on hosting. Why Don't You Just Start Already With Professor Nez In this week’s episode, I chat with Nez from the ProfessorNez YouTube channel. We talk about his journey on YouTube, and what it took for him to make the leap onto the platform. About Nez: Professor Nez consults and coaches on mindset, life coaching, content marketing, career coaching, resume writing, public speaking, social media storytelling and more. "I love to share and inspire. That's my gig. It's in my DNA, and I just plain love it. I hope you get inspired above all else." -Professor Nez Connect With Nez Here YouTube Channel LinkedIn Don’t forget that if you pledge with $25 or more over on our Patreon campaign, I will take a look at your channel each month and give you some tips and ideas on how you can improve! Support the show on Patreon here for day-to-day interaction with myself and the community on discord. Subscribe to my new Podcast “The Entrepreneurs Minute” here! Links Discussed In This Episode Canon 70D – A Fantastic Camera at a great price. TubeBuddy – A tool that makes your YouTube Life EASIER and Helps grow your channel. AudioHero – A Fantastic source for copyright free music to use with your content. The Netflix of AUDIO. Use our Code CREATOR at checkout for a special promotional price. Screenflow — A fantastic Screen Recording software for Mac to create beautiful screencast videos. Adobe Audition — Audio editing software. AudioBlocks – A Fantastic Resource for royalty free music. Support The YouTube Creators Hub Podcast Here: If this podcast is bringing you value SUPPORT THE SHOW AT THE FOLLOWING LOCATIONS: TubeBuddy – A tool that makes your YouTube Life EASIER and Helps grow your channel. Patreon – Get Your Channel Featured On The Show AND Acess to an exclusive YouTube Creators Facebook Group AudioHero – A Fantastic source for copyright free music to use with your content. The Netflix of AUDIO. Use our Code CREATOR at checkout for a special promotional price. Bluehost – If you need a website use this link to get a free Domain Name and a great deal on hosting. 158: I Wish I Would Have Started Creating Sooner With Vyyyper In this week’s episode, I chat with Vyyyper from the Vyyyper and VypLive YouTube channels. We talk about his quick rise to fame in the YouTube space, the thoughts about starting sooner as a creator and SO much more! 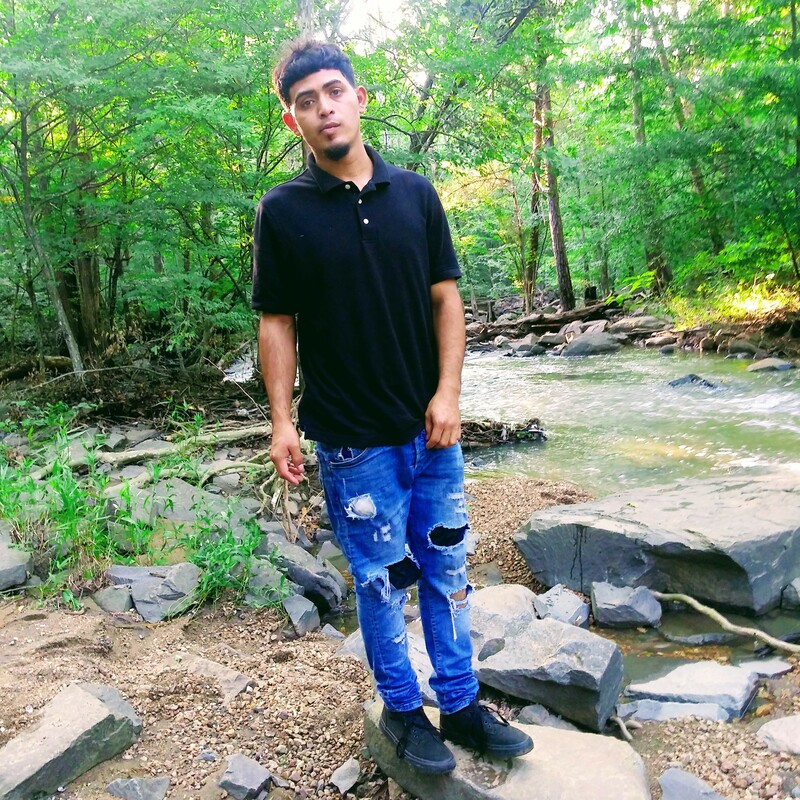 About Vyyyper: He is the Man About Tech, Captain Of Team Apple, and here to help people better understand and connect with the technology around them! Connect With Vyyyper Here: YouTube Channel Twitter Don’t forget that if you pledge with $25 or more over on our Patreon campaign, I will take a look at your channel each month and give you some tips and ideas on how you can improve! Support the show on Patreon here for day-to-day interaction with myself and the community on discord. Subscribe to my new Podcast “The Entrepreneurs Minute” here! Links Discussed In This Episode Canon 70D – A Fantastic Camera at a great price. TubeBuddy – A tool that makes your YouTube Life EASIER and Helps grow your channel. AudioHero – A Fantastic source for copyright free music to use with your content. The Netflix of AUDIO. Use our Code CREATOR at checkout for a special promotional price. Screenflow — A fantastic Screen Recording software for Mac to create beautiful screencast videos. Adobe Audition — Audio editing software. AudioBlocks – A Fantastic Resource for royalty free music. Support The YouTube Creators Hub Podcast Here: If this podcast is bringing you value SUPPORT THE SHOW AT THE FOLLOWING LOCATIONS: TubeBuddy – A tool that makes your YouTube Life EASIER and Helps grow your channel. Patreon – Get Your Channel Featured On The Show AND Acess to an exclusive YouTube Creators Facebook Group AudioHero – A Fantastic source for copyright free music to use with your content. The Netflix of AUDIO. Use our Code CREATOR at checkout for a special promotional price. Bluehost – If you need a website use this link to get a free Domain Name and a great deal on hosting. In this week’s episode, I speak on the new changes that YouTube is making to the Copyright CLAIM and STRIKE system. You can read their full blog post here. Don’t forget that if you pledge with $5 or more over on our Patreon campaign, I will take a look at your channel each month and give you some tips and ideas on how you can improve! Support the show on Patreon here for day-to-day interaction with myself and the community on discord. Subscribe to my new Podcast “The Entrepreneurs Minute” here! Links Discussed In This Episode Canon 70D – A Fantastic Camera at a great price. TubeBuddy – A tool that makes your YouTube Life EASIER and Helps grow your channel. AudioHero – A Fantastic source for copyright free music to use with your content. The Netflix of AUDIO. Use our Code CREATOR at checkout for a special promotional price. Screenflow — A fantastic Screen Recording software for Mac to create beautiful screencast videos. Adobe Audition — Audio editing software. AudioBlocks – A Fantastic Resource for royalty free music. 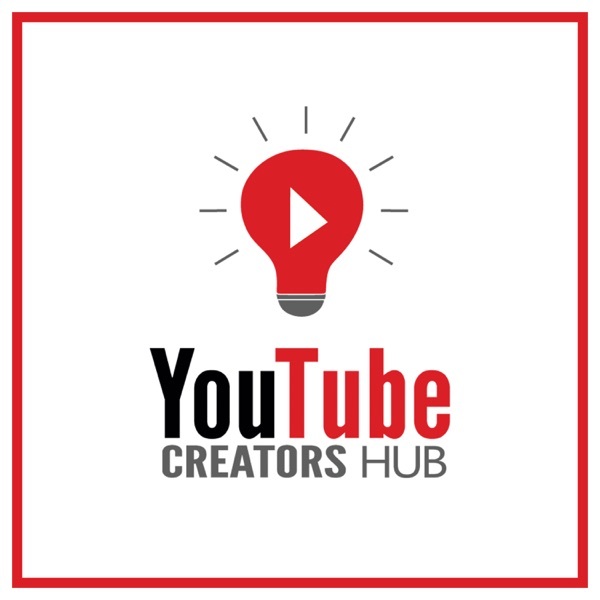 Support The YouTube Creators Hub Podcast Here: If this podcast is bringing you value SUPPORT THE SHOW AT THE FOLLOWING LOCATIONS: TubeBuddy – A tool that makes your YouTube Life EASIER and Helps grow your channel. Patreon – Get Your Channel Featured On The Show AND Acess to an exclusive YouTube Creators Facebook Group AudioHero – A Fantastic source for copyright free music to use with your content. The Netflix of AUDIO. Use our Code CREATOR at checkout for a special promotional price. Bluehost – If you need a website use this link to get a free Domain Name and a great deal on hosting. 156: Passive Income And Making Your YouTube Channel Work For You With Clayton Morris In this week’s episode, I chat with Clayton Morris. Clayton talks about his YouTube channel Morris Invest which he has grown to over 95 thousand subscribers in just a couple years! About Clayton: Husband, father of 3, travel addict, former Fox News anchor. And I’m a big fan of this radical idea that everyone should be able to achieve total financial freedom. Including you. My mission is to help you achieve it — and to get there a lot faster and easier than you might have thought possible. So join me. Let’s ask what we need to ask, learn what we need to learn, and do what we need to do… to achieve what we’ve always wanted. Because life is a lot more fun when we actually get to live it. Connect With Steve Here: Podcast YouTube Channel Don’t forget that if you pledge with $25 or more over on our Patreon campaign, I will take a look at your channel each month and give you some tips and ideas on how you can improve! Support the show on Patreon here for day-to-day interaction with myself and the community on discord. Subscribe to my new Podcast “The Entrepreneurs Minute” here! Links Discussed In This Episode Canon 70D – A Fantastic Camera at a great price. TubeBuddy – A tool that makes your YouTube Life EASIER and Helps grow your channel. AudioHero – A Fantastic source for copyright free music to use with your content. The Netflix of AUDIO. Use our Code CREATOR at checkout for a special promotional price. Screenflow — A fantastic Screen Recording software for Mac to create beautiful screencast videos. Adobe Audition — Audio editing software. AudioBlocks – A Fantastic Resource for royalty free music. Support The YouTube Creators Hub Podcast Here: If this podcast is bringing you value SUPPORT THE SHOW AT THE FOLLOWING LOCATIONS: TubeBuddy – A tool that makes your YouTube Life EASIER and Helps grow your channel. Patreon – Get Your Channel Featured On The Show AND Acess to an exclusive YouTube Creators Facebook Group AudioHero – A Fantastic source for copyright free music to use with your content. The Netflix of AUDIO. Use our Code CREATOR at checkout for a special promotional price. Bluehost – If you need a website use this link to get a free Domain Name and a great deal on hosting. In this week’s episode, I chat with Steve Dotto. Steve is the owner of the DottoTech YouTube Channel. Steve Dotto is Canada's most respected geek. For over 16 years, as host and executive producer of Dotto Tech, a nationally syndicated TV show, Steve entertained and educated millions of Canadians on all aspects of technology. Steve has a passion for understanding the social impact of technology. A very popular keynote speaker, Steve is in demand addressing audiences on the changes technology is bringing to the workplace, and the profound impact these changes are having on our society. YouTube is Steve’s network of choice, where he serves 2 communities, a traditional “How To and Productivity” stream, which follows his TV tradition, and a focus on encouraging GenX and Baby Boomers to engage and provide leadership in the online world. Steve has one mission, to help us master our technology, at home, at school or at work, his message....we need to be in charge of our technology, we each need to discover our inner geek! Connect With Steve Here: Podcast Facebook Don’t forget that if you pledge with $25 or more over on our Patreon campaign, I will take a look at your channel each month and give you some tips and ideas on how you can improve! Support the show on Patreon here for day-to-day interaction with myself and the community on discord. Subscribe to my new Podcast “The Entrepreneurs Minute” here! Links Discussed In This Episode Canon 70D – A Fantastic Camera at a great price. TubeBuddy – A tool that makes your YouTube Life EASIER and Helps grow your channel. AudioHero – A Fantastic source for copyright free music to use with your content. The Netflix of AUDIO. Use our Code CREATOR at checkout for a special promotional price. Screenflow — A fantastic Screen Recording software for Mac to create beautiful screencast videos. Adobe Audition — Audio editing software. AudioBlocks – A Fantastic Resource for royalty free music. Support The YouTube Creators Hub Podcast Here: If this podcast is bringing you value SUPPORT THE SHOW AT THE FOLLOWING LOCATIONS: TubeBuddy – A tool that makes your YouTube Life EASIER and Helps grow your channel. Patreon – Get Your Channel Featured On The Show AND Acess to an exclusive YouTube Creators Facebook Group AudioHero – A Fantastic source for copyright free music to use with your content. The Netflix of AUDIO. Use our Code CREATOR at checkout for a special promotional price. Bluehost – If you need a website use this link to get a free Domain Name and a great deal on hosting. Is there a Windows version of Screenflow to record my computer screen? Katrina Smith Try OBS studio. It's a free screen recording application. did you do an eddsworld thing about why eddswold is speaking to most veiwers? if you can do something close to Girls Nation Gaming's content, I'd love that!